I recently ran into a strange issue following the enablement of two PSC 6.5 nodes in an HA configuration, as part of a larger rolling upgrade from vCenter 5.5. NB – all URLs shown are internal, in use within my lab environment only. During the migration of the existing customers vCenter environment we had to rehearse the externalisation of PSC from an initial embedded SSO instance. As part of this process the first PSC node in a new site was migrated from an original Window vCenter 5.5 SSO to PSC 6.5, and subsequently a second new node was joined to the first site in order for replication to be established. I used a Citrix NetScaler to load balance the configuration and noticed at some point after the successful HA repointing was done that I was unable to access the https://hosso01.sbcpureconsult.internal/psc URL. The second node, https://hosso2.sbcpureconsult.internal/psc worked correctly and redirects to the load balanced address psc-ha-vip.sbcpureconsult.internal for authentication before displaying the PSC client UI. Irrespective of whichever node is selected I was able to log in to vCenter, then choose Administration, System Configuration, select a node then Manage, Settings or CA without receiving any errors. [2018-10-08 12:05:20.347] [ERROR] tomcat-http--3 com.vmware.vsphere.client.security.websso.MetadataGeneratorImpl - Error when creating idp metadata. It appeared that the HTTP 400 error is because the psc-client Tomcat application doesn’t start up correctly on the first node anymore, along with an error in.. I repeated the same series of steps in my lab environment I had experienced on the customer site, and was able to confirm the same behaviour. Let me explain at this point, that all other vCenter functionality was correct and our issue only affected the /psc URL. Could this be deemed ‘correct’ behaviour? If I chose https://psc-ha-vip.sbcpureconsult.internal/psc (which is the load balancer address) I was initially only able to connect if the second node is online and happens to be selected. I wanted to confirm before signing off on the work that it should be possible to access the /psc URL on each node deliberately? After what seemed like a lot of internal dialogue between myself and my inner tech support dept. (sleepless nights!) I was left wondering what could be going wrong.. especially if this was the documented procedure from VMware? Good news, I was able to roll back my lab and re-run the updateSSOConfig.py and UpdateLsEndpoint.py scripts – only to find that the /psc URL did indeed load successfully on both nodes with the NetScaler load balancing in place! So at least I knew that the correct behaviour is that you should be able to open /psc on both appliances. but this second hostname file was missing on the second node. Why is this? I guess that it is used transiently during the script execution in order to inject the correct value into the server.xml file. So I was able to simply copy the server.xml file from the working node (overwriting the original on the faulty node) and also remove the /etc/vmware-sso/keys/hostname.txt file to match the configuration. Following a reboot my first SSO node then responded correctly by redirecting https://hosso01.sbcpureconsult.internal/psc to https://psc-ha-vip.sbcpureconsult.internal/websso to obtain its SAML token before ultimately displaying the PSC client UI. This store was not present on the other node, and so the correct load balancing certificate replacement must somehow be omitted by one of the upgrade scripts when this scenario occurs (5.5 SSO to 6.5 PSC). 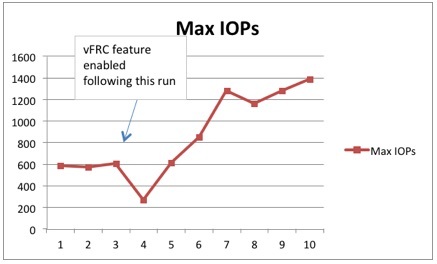 I hope that this bug gets removed by VMware in due course, particularly as more customers are moving to the appliance based model of vCenter 6.x, but this workaround and method should be considered at least if you run into a similar problem. NB This post is adapted from a longer discussion on VMware Communities page available under https://communities.vmware.com/thread/598140. Following installation of a second Platform Services Controller node in a site how will you know if replication is functioning correctly? 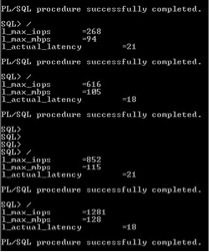 Assuming that you’ve got time to wait 30 seconds for each change to be replicated you could first try creating a test user on each node within the vsphere.local domain to verify bidirectional communication. But if you prefer to be a little more scientific or repeat the process programmatically you can follow a simple sequence of steps. The following article from VMware explains the process, however it does omit a period (.) character at the beginning of the Linux commands such that the steps can’t be followed verbatim. Partner is 0 changes behind. In these examples the change numbers (unique sequence numbers) are specific to the local host, but are not necessarily the same if they were introduced to the site at different times. The important value to pay attention to is whether the replication partner shows that any changes are not yet communicated or if the other partner is unavailable. Oracle licensing on hyper-converged platforms such as Nutanix, VSAN etc. I recently posted on Michael Webster of Nutanix’ blog about Oracle licensing on VMware clusters and wanted to link back to it here as it’s something I’ve been involved with several times now. 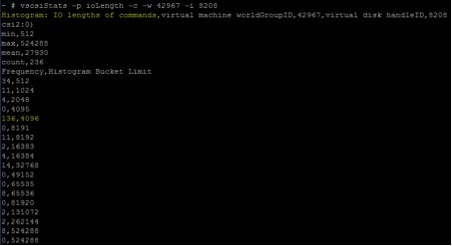 With VMware vSphere 5.5 the vMotion boundary is defined by the individual datacenter object in vCenter, which means that you cannot move an individual VM between datacenters without exporting, removing it from the inventory, and reimporting somewhere else. This currently means that even if you deploy Oracle DB on an ESXi cluster having just two nodes that you could be required by Oracle to license all of the other CPU sockets in the datacenter! This rule is due to Oracle’s stance that they do not support soft partitioning or any kind of host or CPU affinity rules. Providing that a VM could run on a processor socket, through some kind of administrative operation, then that socket should be licensed. This doesn’t seem fair, and VMware even suggest that this can be counteracted by simply defining host affinity rules – but let’s be clear, the final say so has to be down to Oracle’s licensing agreement and not whether VMware thinks it should be acceptable. So the only current solution is to build Oracle dedicated clusters with separate shared storage and separate vCenter instances consisting only of Oracle DB servers. 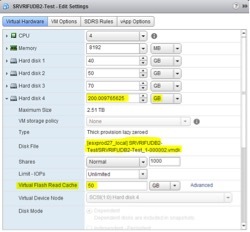 This means that you are able to define exactly which CPU sockets should be licensed, in effect all those which make up part of one or more ESXi clusters within the vCenter datacenter object. 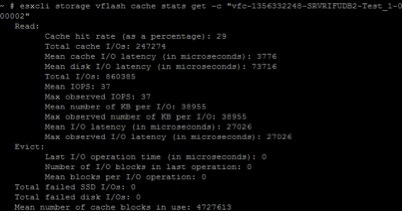 Now, with vSphere ESXi 6 there was a new feature introduced called long distance vMotion which facilitates being able to migrate a VM between cities, or even continents – even if they are managed by different vCenter instances. An excellent description of the new features can be found here. This rather complicates the matter, since Oracle will now need to consider how this effects the ‘reach’ of any particular VM instance, which now would appear to only be limited to the scope of your single sign-on domain, rather than how many hosts or clusters are defined within your datacenter. I will be interested to see how this develops and certainly post back here if anything moves us further towards clarity on this subject.